SYDNEY, 5 November 2018 – Coomera Anglican College is an independent school founded in 1997 that is operated by the Anglican Diocese of Brisbane. It consists of a Primary School, Junior Secondary School, Senior Secondary School, and Early Learning Centre on the same campus. 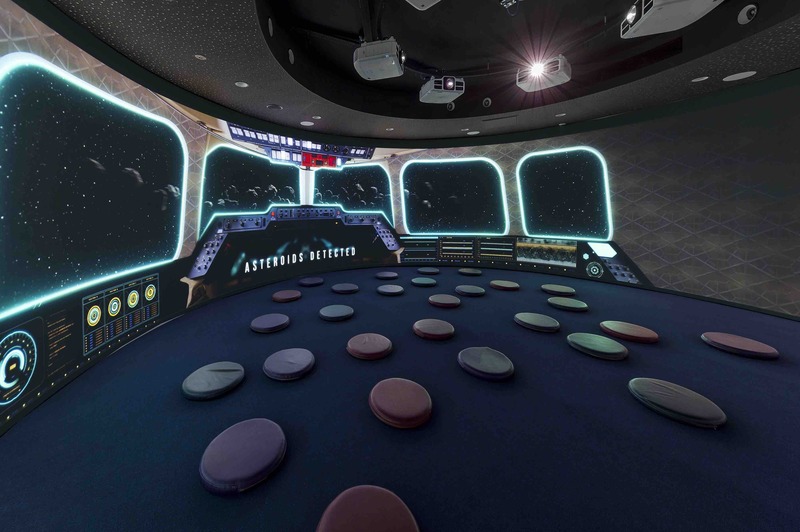 Recently the College decided to install Epson laser projectors for their future-focused, new Imaginarium 360-degree immersive learning environment, a part of their new building, The Pod, which opened earlier this year. Not only did the EB-L1300UNL meet the College’s requirements but its functionality also impressed the team there. The EB-L1300UNL laser projectors are mounted onto a circular steel metal frame in the centre of the theatre and are used to project a 11520 x 1080 image onto the walls in a full 360-degree circular room. The room measures 9 metres in diameter and the walls have been painted with a specialised low reflection paint. 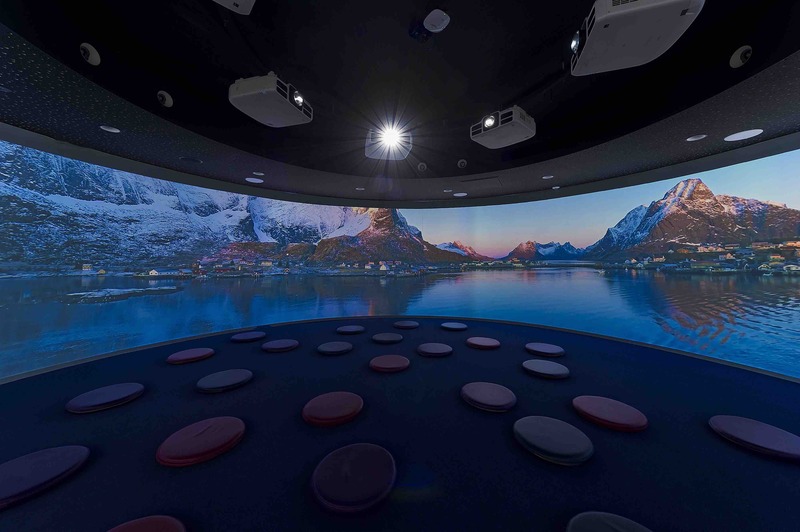 Used in conjunction with ImmersaView’s SimVisual software the projector images are then warped and blended resulting in a seamless 360-degree image across the curved walls.